There are a lot of misconceptions out there about going to a chiropractor. If you know someone who has had a bad experience with chiropractic care, it quite possibly has tarnished your opinion and may have even kept you from scheduling an appointment. However, at IN Chiropractic & Wellness, we’re here to ease your mind and give you the confidence to finally seek the expert care you deserve. 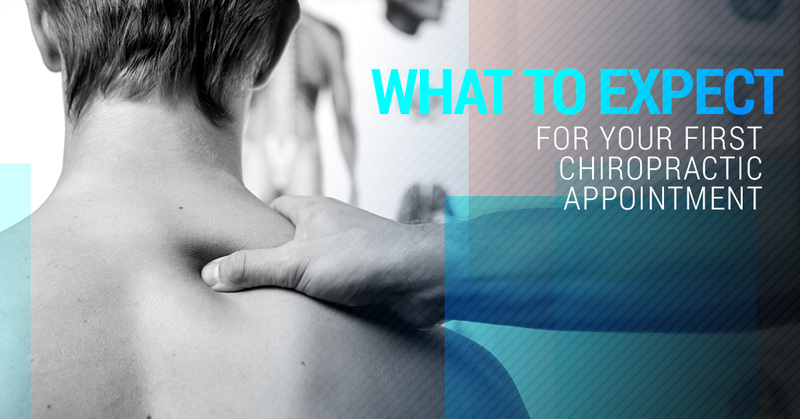 But once you schedule your appointment, you still might be unsure of what to expect. Here’s some information to help you feel less nervous about visiting us. For your first visit, you can expect to learn a lot about chiropractic medicine and how it relates to your body and the symptoms that you are experiencing. You may have already learned a lot by reading through the pages on this site and skimming through our blogs. You’ll soon realize there’s nothing to worry about. During the consultation, you’ll be asked questions about specific symptoms and pain that you may be feeling, general questions about your medical history, and your doctor will ask you if you have any questions. The point of the consultation is for your doctor to determine if you will benefit from chiropractic care. After the consultation, if an adjustment is for you, you’ll lay on an adjustment table. Be sure to wear comfortable clothes that won’t restrict movement as you lie on the table. For part of the time, you will be lying face down, and the remainder of the adjustment can be done while you are on your back, side, or sitting upright. Pressure will be applied to a vertebra using a short lever arm. The adjustment focuses on the tissue that holds your joints together. You will hear a popping noise, which is the release of oxygen, nitrogen, and carbon dioxide. Try to keep your body relaxed during the procedure and there should be no discomfort. Some patients do experience minor discomfort that eases up soon after the appointment. Your chiropractor may also do an exam of your ankles, knees, wrists, elbows, and/or shoulders. Depending on the symptoms that you are experiencing, first visits typically last around half an hour. If you are asked to come back for a follow-up, these can be shorter and may only last five to 10 minutes. If it’s determined that you have a more serious condition, your doctor will discuss future treatment plans. Heat and Cold: If you’re struggling with back pain, you may be asked to alternate between hot and cold compresses. Exercise: There are numerous exercises that are great for healing back pain. Massage: A massage therapist can help with improving circulation, reduce swelling, and inflammation. After a few months away from the dentist, it’s normal to feel nervous. When you schedule an appointment with your chiropractor, you may feel nervous, but you can put your mind at ease knowing that there’s nothing to worry about. Learn more about IN Chiropractic & Wellness in Fishers, Indiana, and give us a call today.